Schwinn Deluxe Platform Style, Wide Exercise Bicycle Pedals in 9/16" Thread Size. Sold in pairs only. 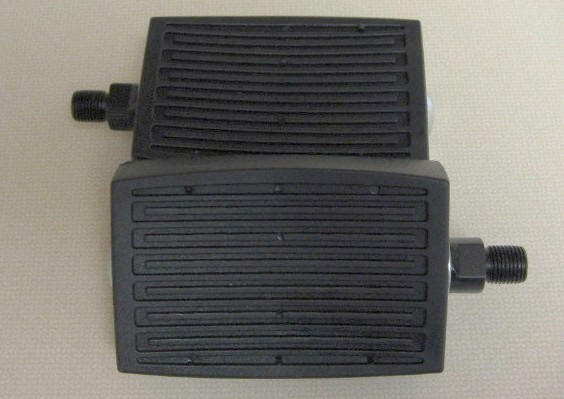 **A one-piece pedal crank looks like this photo and most take 1/2" pedals. A three-piece crank has a three separate parts: A separate right and left crank arm which are attached to a spindle in the middle. Most one-piece cranks are 1/2" thread size. Three piece cranks can be either 1/2" or 9/16" thread size.